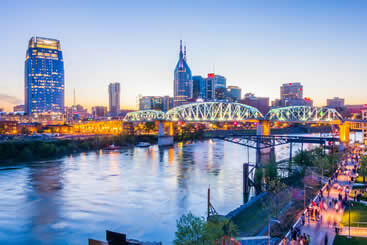 Nashville is one of the most gorgeous cities to ever grace the American Midwest, offering down home charm, unmatched hospitality, and a slew of restaurants that will keep your mouth watering for days. Whether you’re looking for a country superstar show at the Grand Ole Opry or see on for the many honky-tonk bars, you’re in store for an unforgettable time. If you are thinking that BNA is just a place for celebrities, then you are in for a surprise. BNA Airport treats all passengers with equal value. People flocking to the airport to find their way into Nashville will also be able to enjoy art exhibitions and live music performances at the ticketing level. 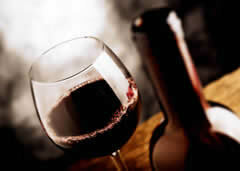 Therefore, you won’t have to deal with an environment of boredom even if you are waiting at the airport. Besides the entertainment factor, the BNA Airport is also a great place for those who are looking to find some relaxing time. Passengers can enjoy a massage bar while they are at the airport. This is quite the convenience if you have just landed from a tiring flight or plan to take one to another destination but are a bit down. The BNA Airport is also famous for its concessions program which was started so that passengers, tourists and guests alike could experience the Nashville environment while they spent time at the airport. This idea is a great way to make everybody feel welcome whether they belong to Nashville; is just visiting or plan to start a new life in the city. The travel experience with the BNA Airport matches the music city’s hospitality. BNA Airport is the main airport in Tennessee. It is also known as the Nashville International Airport. The BNA Airport is the perfect place to meet a country celebrity if you are one of those enthusiastic fans. Moreover, the airport is a direct route into the music capital of the country that is Tennessee. Nashville International Airport gives the world an opportunity to see America’s music capital, whether it be through the countless live music bars or the various theaters that host a slue of symphonies and ballets. Get to your hotel after you arrive to the airport and hop aboard a shared ride van by scheduling a pick up from us. Shuttles drop off at a variety of locations, so whether you’re staying at the luxe Renaissance Nashville Hotel or the budget stay, Drake Motel, you’ll get to your room in no time. Nashville is full of historic landmarks, making it an infinite source of fascinating tourist attractions like the Parthenon, which is a full-sized replica of the famous Greek structure. Grab the family and take a photo in front of the hotspot by booking a private van from transportation providers. By reserving your own private van, you’ll be experiencing a big city in a big style. After sightseeing, go out for lunch at Husk, a farm-centric eatery that serves upscale southern delights. Vacations are meant for relaxing and ride in private sedans that were designed to do just that. Reserve a car today and explore Nashville tomorrow by spending the day at Centennial Park, a massive park with beautiful gardens and historic fountains located in the heart of downtown. If you’re in the mood for a dose of exoticism, buy a ticket for the Nashville Zoo at Grassmere, a huge wildlife park that’s as quaint and warm as the car you’ll be taking there. If you’ve got children and would like to take them on a fun, but educational journey, reserve a private SUV for high efficiency and recliner seats. By contacting our local transportation providers, you’ll be well on your way to Nashville’s famous Adventure Science Center, which has a ton of interactive museums about technology as well as a state-of-the-art planetarium. After admiring far-off galaxies, come down to earth by going for a drive to Fort Nashborough, a historic stockade that holds a mountain of American history. Whether you’re a Nashville country star or a businessman looking to see the finer side of town, the city has a lot to offer in terms of high culture. Built inside of a former hotel, Merchants Restaurant is a unique southern delicacy located on Broadway in the heart of downtown. Arrive in style by booking a stretched limousine from our shuttle services, each vehicle coming fully equipped with your own chauffeur and deluxe leather seats. After dinner head out to the Frist Center for the Visual Arts for a great show in an art deco-style theater. Lots of different types of groups come to Nashville, whether it’s an office junction or a sports team traveling for state finals. Because of this, the city is home to more than enough services for bus rentals of which offer great deals. Contact one today and reserve a vehicle to spend the day sightseeing at Cheekwood Botanical Garden and Museum of Art, a beautiful acreage home to stunning landscaping and a graceful mansion. 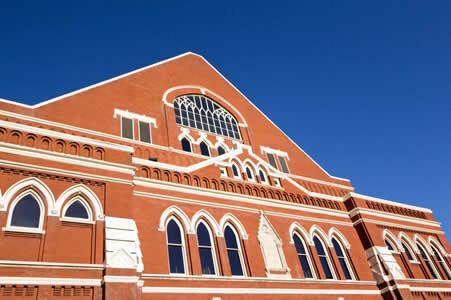 The Ryman Auditorium, formerly known as the famous Grand Ole Opry, is a huge venue located in the heart of downtown, offering tons of historic tours as well as live performances. 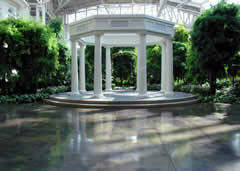 Built in the mid 20th century, the venue is both modern and old-timey. For entertainment, special events, lodging, or even specially catered dining, the Fontanel is one of the best places for you to visit. With authentic southern brunch and downhome hospitality, the Fontanel Mansion is a historic landmark as well as host to an incredibly friendly group of employees. The Opryland Hotel Gardens is a fantastic tourist attraction; so popular in fact that many visitors come back for a second look at the wonderfully landscaped environment. The gardens are just a brief fourteen-minute walk from The Grand Ole Opry House, making for a great place to go after a fun show. If you’re landing into Nashville International Airport and aren’t sure exactly where to go, don’t fret. This particular facility is known for its easy access to information, transportation and plenty of helpful employees who would be happy to assist you. As far as ground control goes, Nashville International Airport offers a variety of options to visitors, no matter what your needs, schedule or destination may be. For more details, contact the terminal directly to set up some sort of ride or drop off. The Hyatt Place Nashville Downtown is a 3-star hotel with a modern look that happens to come with free Wi-Fi as well as complimentary breakfast. If you’re more in the mood for a budget stay, you can save a lot more in your wallet by staying at the Days Inn Downtown, a cheap and affordable location in the heart of Nashville that also happens to have a pool and free Wi-Fi. Nashville is known for its backcountry cooking and home-style chicken, which makes Arnold’s Country Kitchen one of the most delicious and affordable restaurants in town. As a landmark of the southern soul food community, you can’t go wrong with Arnold’s! If you’re in the mood for a more casual eating experience, visit The Pharmacy Burger Parlor & Beer Garden for a tasty lunch and a selection of even tastier beverages. If there’s more you feel like you have to discover in Nashville, see the Centennial Park, a fun place that constantly hosts events such as concerts, festivals, or even reserved birthday parties. If you’re looking for a bit more isolation, visit the Cheekwood Botanical Gardens for blooming gardens and a hidden mansion.